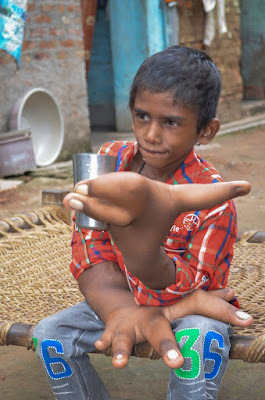 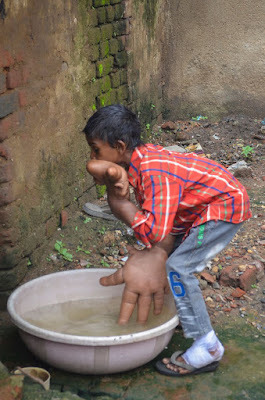 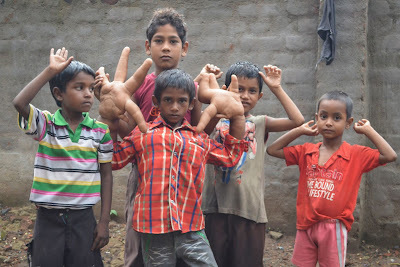 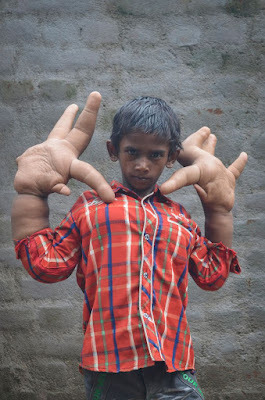 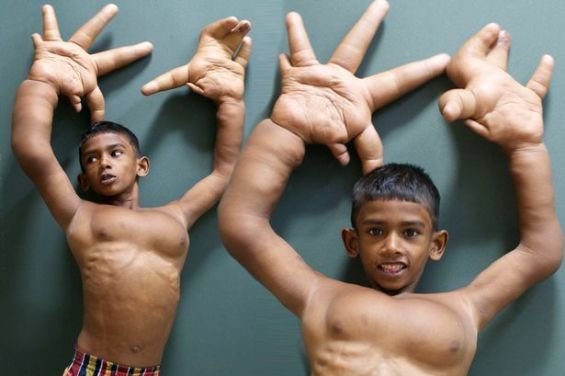 8 year old Kaleem suffers from a rare medical condition called macrodactyly, that means he has giant-sized hands. 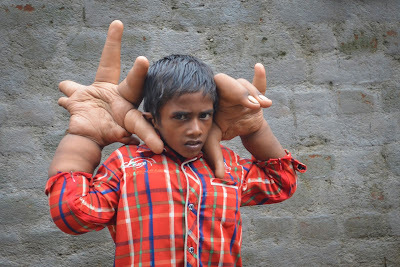 He's been excluded from school and cast out in his local village in India because he is believed to be "the child of the devil". Kaleem's own uncle believes that because his mother visited latrines when she was pregnant with Kaleem that it could have infected him with "demons". 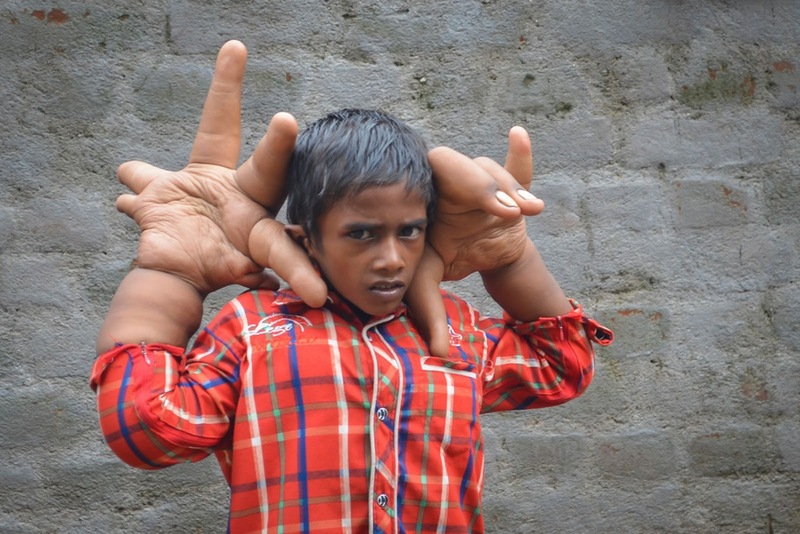 A Channel 5 documentary titled 'The Boy with the Giant Hands', follows Kaleem and his family as they prep for life-changing surgery. 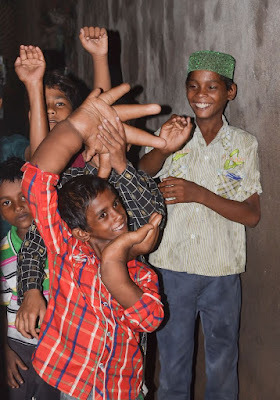 Kaleem is more than apprehensive but faced with a future of illiteracy and constant bullying it appears it is the only chance for him. 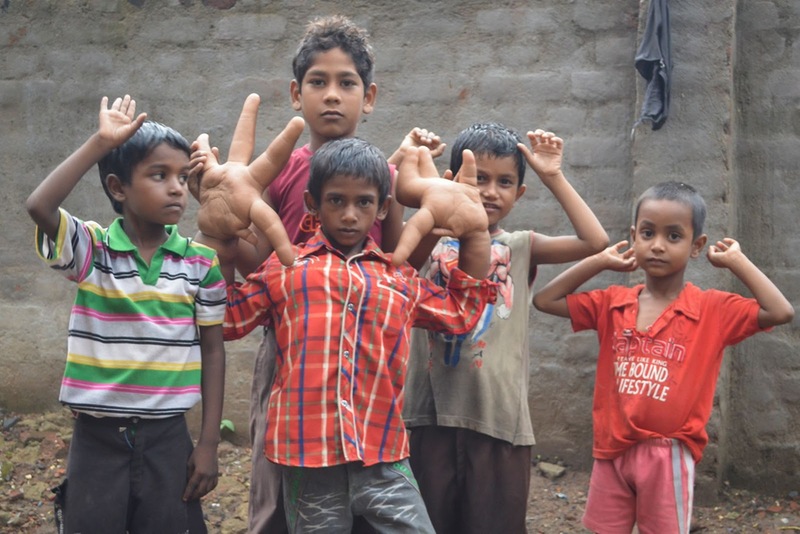 As he spends his days playing with a rubber tyre by himself Kaleem says: "I don't go to school because the teacher says the other kids get scared when they look at me." 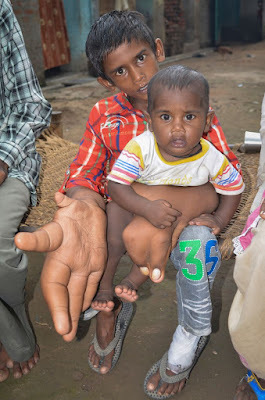 The family travel thousands of miles to visit a leading reconstructive surgeon in southern India, who is convinced he can improve the function in Kaleem's hands. 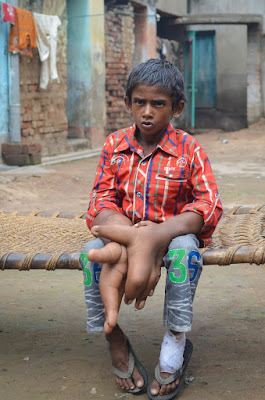 The doctors have to work against the clock during the complicated surgery to manoeuvre between fatty tissues and swollen nerves in Kaleem's hands. 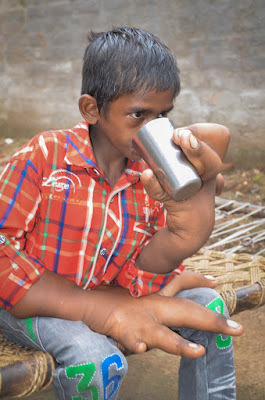 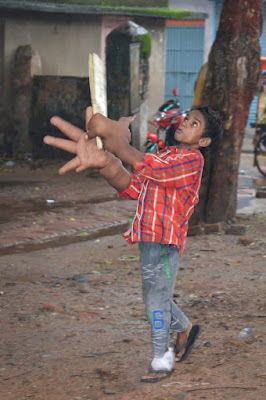 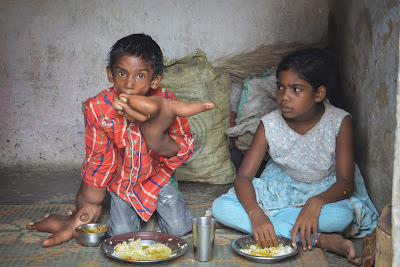 The invasive surgery is risky for the malnourished eight-year-old, as he has to build up his strength so he can get his hands reduced to a regular size. 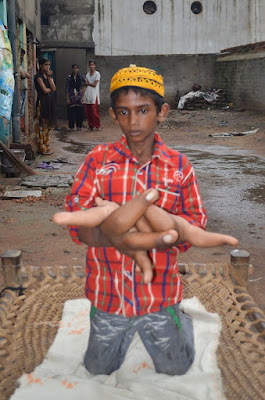 The documentary sees Kaleem get his fingers shortened but the recovery could take months before the youngster notices a difference. 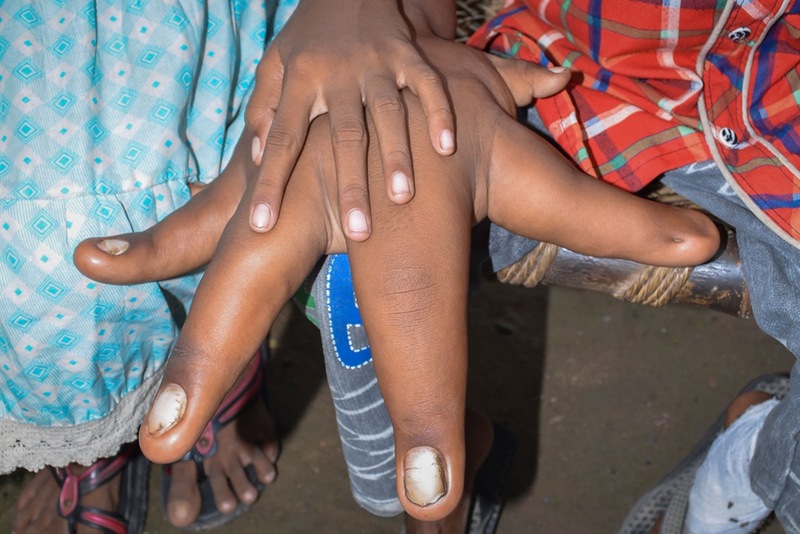 It's down to the team to help Kaleem get through the intensive post-rehabilitation and convince the local villagers and the school the young boy is not the "devil child".